You are invited to the annual meeting of the Friends of the Birmingham Public Library to be held Thursday, November 9 in Central's Arrington Auditorium. Jackie Wuska with the Literacy Council of Central Alabama will discuss literacy in Birmingham. The reception begins at 5:30 p.m. and the meeting is at 6:00 p.m.
Join the Friends TODAY and come to the annual meeting! Between November 6 and November 22 the Avondale staff wants to talk turkey with you. 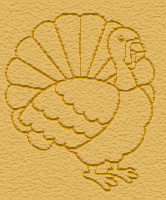 Visit the Youth Department for your turkey conversational starter and let the fun begin. Who knows, all this talking may win you and your family a frozen turkey and a Thanksgiving tale or two. 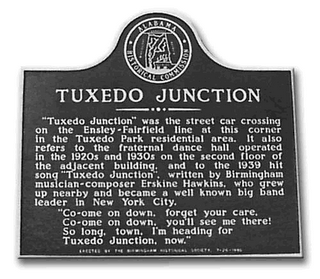 Join us this Wednesday, November 1 at noon in Central's Arrington Auditorium to hear Birmingham historian Karen Utz discuss Glenn Miller, Ensley and the Big Band hit it inspired: "Tuxedo Junction". 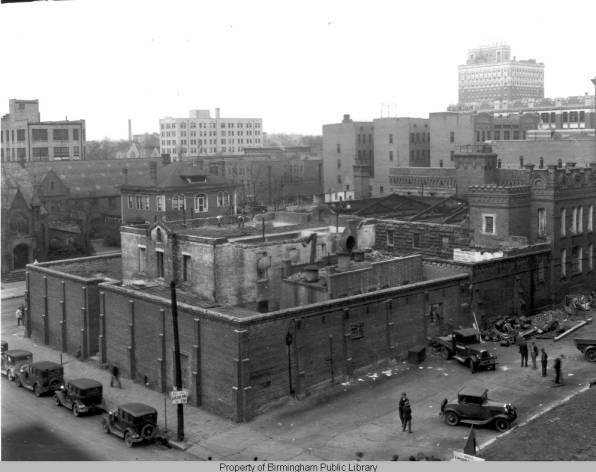 BIRMINGHAM—Putting flesh on the bones of Birmingham’s civil rights history. That’s how Marjorie White, Birmingham Historical Society director, describes the new exhibit of 41 never-before-seen photos from the archives of the Birmingham News. Each depicts the turbulent and emotional events sweeping our city during the 1950s and 60s. The exhibit, entitled “Unseen. . . .Unforgotten/Civil Rights Photographs from The Birmingham News,” runs November 5-December 30 in the Library Gallery of the Birmingham Public Library. The Opening Reception is Sunday, November 5 from 3-5 p.m.
A News photo intern named Alexander Cohn discovered the negatives filed by year and photographer during his summer employment with the paper. He digitized 2,000 of the images, and interviewed living photographers and Movement participants for background. A portion of those photos may be viewed online at http://www.al.com/unseen. Springville Road Branch 6:30 p.m.
Five Points West Branch 10:00 a.m.
North Avondale Branch 1:00 p.m.
North Birmingham Branch 10:00 a.m.
Pratt City Branch 3:30 p.m.
One of America's most respected and loved folksingers, John McCutcheon is an award-winning recording artist and storyteller. He is a master of a dozen different traditional instruments including the banjo, guitar, fiddle, mountain dulcimer, and jaw harp. His 26 recordings have garnered multiple awards, including five consecutive Grammy nominations. Listen to some of McCutheon's songs such as "Dog's Life" and "Mud" at Amazon.com. This program is made possible, in part, by the Jefferson County Commission through the Jefferson County Community Arts Fund administered by the Cultural Alliance of Greater Birmingham. This Wednesday (Oct. 25) at noon, join BPL Archivist Jim Baggett for a pre-Halloween virtual tour of some of our city's notorious historic sites. The virtual tour is part of Central's Brown Bag Program held in Central's Arrington Auditorium. Library closed Thursday until 1 p.m.
All branches of the Birmingham Public Library will be closed Thursday October 19 until 1 p.m. for staff training. Need career information, knowledge about different professions, or employability skills? 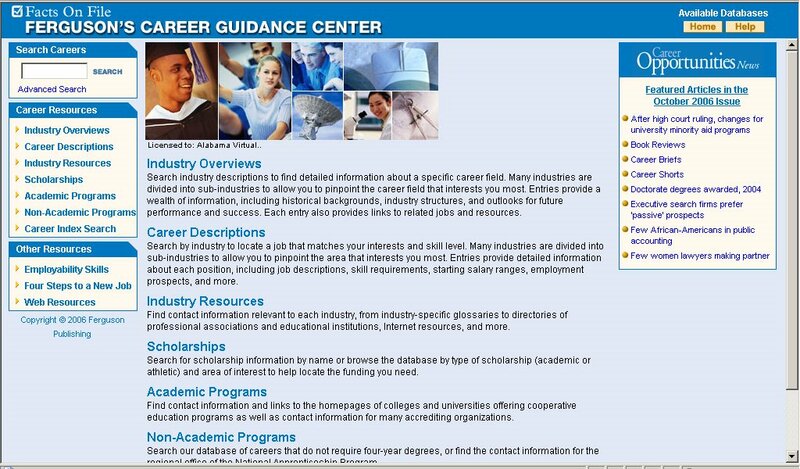 Explore the Career Guidance Center. 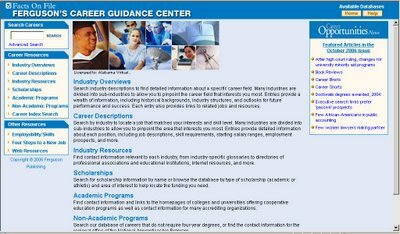 The Career Guidance Center offers an all-encompassing online database on career information. With over 2,000 jobs and 23,000 resources, this database has all the information to help you choose, plan, and advance your career. 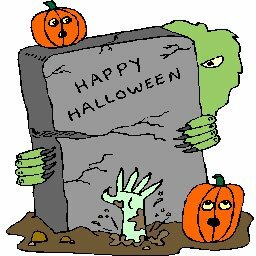 This October 21st celebrate Halloween and the beginning of Teen Read Week in Central's Youth Department. Bring your friends and watch classic monster movies with us from 10 a.m. to 4 p.m. Popcorn, drinks and good frights will be provided. Call (205) 226-3655 for more information. Tony Leonard, inspirational poet and author, will be at the North Birmingham Regional Branch October 17th at 6:30 p.m. The event is free and light refreshments will be served. Leonard, who began writing poetry in the mid 1970s, has written some of the most heart warming and motivational poetry of our day. His numerous works include such titles as "Traces," "You Are," "When Mountains Cry," "Through the Eyes of God," "The Aftermath," and "The Rising Sun." In 2001, Tony was nominated for a Nobel Prize in literature for poetry." The Oxford African American Studies Center database provides information about the lives and events which shaped African American and African history and culture. Alabama citizens are being asked to share their views on public libraries during an October online statewide survey. Their opinions will help shape the future of the state’s public libraries, said Alabama Public Library Service Director Rebecca Mitchell. The online survey will be available through October 31. To access the survey online, visit http://webapp.slis.ua.edu/goals07 and follow the directions. Mitchell urged citizens to take the survey. “We need input from the public to evaluate current services and to ensure libraries remain a vital part of the community in the future,” she said. APLS will use the information to develop a five-year plan for the state’s public libraries for 2008-2012. The library wish-list of some citizens was heard at eight meetings held in the summer at locations throughout Alabama. 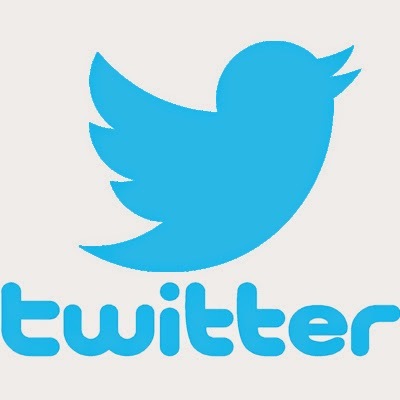 The survey will allow anyone who did not attend a meeting to be heard. The 2002-2007 plan identified priorities for the state’s public libraries, including reading programs for children and young adults, services for the underserved and for people with special needs. Birmingham Public Library selected to host “Great Stories CLUB” book discussion program for teens. The Birmingham Public Library in partnership with The Opportunity Academy at Riggins (T.O.A.R. ), a Birmingham City School, has been selected to host a three-part reading and discussion series called the “Great Stories CLUB.” The library is one of over 180 libraries nationwide, and the only one in Alabama, selected to receive this grant from The American Library Association (ALA). The Great Stories CLUB (Connecting Libraries, Underserved teens and Books) is a reading and discussion program designed to give teens a chance to read and discuss great books that are relevant to the challenges in their lives. The books and resources for the Great Stories CLUB have been provided by a grant from the American Library Association Public Programs Office and the Young Adult Library Service Association. Each title selected for the program focuses on a character who struggles with a serious challenge. As a recipient of this grant The Birmingham Public Library will receive programming resources as well as copies of the following books for distribution to the students at T.O.A.R. The discussions will be facilitated by librarians and are scheduled for September, October, and November at the T.O.A.R. campus. For more information about the Great Stories CLUB hosted by the Birmingham Public Library, contact Janine Langston at 205-322-6371. For information about the Great Stories Club national initiative, visit www.ala.org/greatstories. Root: A Board Game of Cute Woodland Creatures...and Murder!